Siyabonga Africa is a digital media specialist at the SABC and executive chair of the Johannesburg chapter of Hacks/Hackers. He has a curiosity about the future of journalism and an interest in data journalism, multimedia journalism and interactive tools. Mohamed Ali is an award-winning Kenyan investigative journalist and the chief investigations editor for the Kenya Television Network. He has exposed social ills and corruption in Kenya including drug trafficking, a child theft syndicate and corruption. He has done extensive reporting on extra-judicial killings by secret police death squads tasked with assassinating suspected terrorists and criminals. After this report he received death threats and has been labelled as a terrorist. Shane Bauer is a senior reporter at Mother Jones and the recipient of numerous awards, including the Hillman Prize for Magazine Journalism. In 2015, Shane took a job as a prison guard to investigate corporate-run prisons. He is also the co-author, with Sarah Shourd and Joshua Fattal, of A Sliver of Light, a memoir of his two years as a prisoner in Iran. Tegan Bedser is a digital media specialist at SABC Digital News. She has previously worked at the Times Media Group for websites such as Times LIVE, Sowetan LIVE and later DispatchOnline, where she was part of the team that won the CNN African Journalist Award for digital journalism. She is currently completing her Masters in Digital Journalism at Rhodes University. 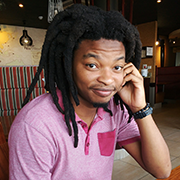 Sibusiso Biyela is a science communicator and data journalist at ScienceLink, South Africa’s first digital science communication start-up. In this capacity, he works closely with researchers and the media on various data visualisation and digital storytelling projects. 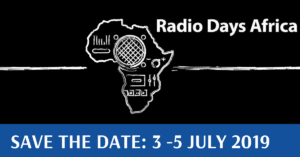 He is also the author of South Africa’s first isiZulu science news round-up, published by SciBraai, a proudly South African NPO dedicated to science journalism, science communication and outreach. Heinrich Böhmke investigates and prosecutes misconduct cases in the public service. He also assists investigative journalists throughout Africa in framing their investigations and reports. He performed this role during the Panama Papers exposé and in many other significant stories. Nechama Brodie is a veteran journalist, best-selling author, and the head of training and research at Africa’s only independent fact-checking organisation, Africa Check. Stefaans Brümmer is an old hand at investigations. A politics and journalism graduate, he cut his reporting teeth at the South African Cape Argus in the tumultuous early 1990s; then joined the Mail & Guardian as democracy dawned in April 1994. For the next 16 years (a late-1990s diversion into television and freelancing apart), the M&G was his journalistic home and launch pad for award-winning investigations focusing on the nexus between politics and money. Stefaans has co-authored exposés including Oilgate, the Selebi affair, Chancellor House and significant breaks in the arms deal scandal. Stefaans and Sam Sole co-founded the AmaBhungane Centre for Investigative Journalism in 2010. Rex Chikoko is a Malawian journalist with over 12 years’ experience. Currently he is working for one of Malawi’s leading print media houses, Nation Publications Limited, as an investigative journalist. He has received training from the Thomson Reuters Foundation and Finance Uncovered as well as a three-month attachment to the Mail and Guardian Centre for Investigative Journalism. He now writes stories on illicit money transfers, company finances, money laundering and other topics. John Christensen directs the Tax Justice Network, an expert-led network that leads global efforts to tackle tax havens. Trained as a forensic investigator and economist, he has worked in many countries around the world, including a period of working in offshore financial services with Touche Ross & Co. His research on small islands and offshore finance has been widely published in books and academic journals. Christensen has taken part in many films, television documentaries and radio programmes. Susan Comrie is a South African investigative journalist who spent a number of years with Carte Blanche and City Press before joining the amaBhungane Centre for Investigative Journalism earlier this year. Her investigations have focused on the mining sector, corruption and illicit finance, and have included topics such as how VAT fraud fuels the illegal gold trade, the politically connected names behind the Gold Fields BEE deal, and how cheap solar geysers from China were passed off as locally made under an R800-million City Power tender. Koami M Domegni from Togo has been working as a journalist for over a decade. He works for the newspaper L’Alternative, which has a strong investigative desk. He mainly focuses on issues relating to natural resources, the environment and energy. Ogechi Ekeanyanwu works as the copy/development editor at The Cable, one of Nigeria’s critical online newspapers. She focuses on the rights of children and women. She has worked as a consultant with MIND, an NGO focusing on poor urban poor women. The story, Who extracts the value of Nigerian footballers, about the trafficking of young soccer players, won her and her team a prize at the 2016 CNN/Multichoice African journalist of the year award. Zoe Flood is an award-winning independent print and broadcast journalist based in Nairobi, Kenya. She has freelanced for over seven years, working on documentaries, features and breaking news including for the BBC, Channel 4, the Guardian and the New York Times. She is also the Chair of the Foreign Correspondents’ Association of East Africa, a professional group with some 500 members working for international media. Will Fitzgibbon is a reporter for The International Consortium of Investigative Journalists (ICIJ) and leads ICIJ’s partnerships with journalists in Africa. Before reporting on the Panama Papers, Will was a reporter on ICIJ’s Swiss Leaks project and collaborated with more than a dozen journalists from across Africa on the project Fatal Extraction. Before coming to Washington, he worked at The Bureau of Investigative Journalism (TBIJ) in London. John Grobler is a veteran of 26 years of muck-raking in Africa for nearly all the wire service agencies and major publications ranging from the New York Times, The Guardian, World Policy Journal and the Mail&Guardian. However he considers his two-year-long investigation into rhino poaching in Namibia in conjunction with the investigative Oxpeckers Centre for Investigative Environmental Journalism (oxpeckers.org) as the most important stories he has done. Ruth Hopkins is a senior journalist with the Wits Justice Project, covering various criminal justice issues. For many years, she investigated a prison in Bloemfontein run by security firm G4S and wrote for national and international media about the ongoing torture and abuse at that prison. She has also written about court delays, remand detention, wrongful convictions and police brutality in South Africa. Hopkins won the Webber Wentzel Legal Journalist of the Year Award in 2012 and 2014. In 2016, she was awarded the Sylvester Stein reporting fellowship, to conduct research into and write about criminal justice issues in the US. Brant Houston is the Knight Chair in Investigative Reporting at the University of Illinois where he teaches investigative and data journalism and oversees an online newsroom. He was executive director for a decade of Investigative Reporters and Editors, a 5 000-member organisation, and, before that, an award-winning investigative reporter for 17 years. He is co-founder of the Global Investigative Journalism Network, co-author of The Investigative Reporter’s Handbook and author of Computer-Assisted Reporting: A Practical Guide. Hamza Idris is the group politics editor at the Daily Trust Newspapers, and had spent over 10 years reporting from the volatile north-eastern part of Nigeria, the hotbed of Boko Haram. He is a Fellow of the International Centre for Journalists (ICFJ, Washington DC, 2013) and member of the Peace Mediation Programme (Switzerland, 2015). He has authored nearly 3,000 articles on terrorism, and has freelanced for the New York Times and AFP. Shinovene Immanuel is a Namibian investigative journalist working for the daily The Namibian newspaper. He heads The Namibian’s investigative unit which has worked on stories such as the Panama Papers and Fatal Extraction with the International Consortium of Investigative Journalists. Shinovene writes about general news, politics, governance, corruption, illicit financial flows and extractive industries. Raymond Joseph began his journalism career as a cadet reporter at the Rand Daily Mail in 1974 and has ink running in his veins. Over the decades he has witnessed many changes in journalism and has made the transition to multimedia and data-driven storytelling. He heads up Code for South Africa’s media programme. Launched earlier this year, it is home to Africa’s first bricks-and-mortar data journalism academy. 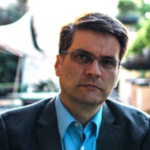 He is a former ICFJ/Knight international journalism fellow and has worked for mainstream, community and tabloid newspapers in senior editorial positions. Safeeyah Kharsany is an Africa-focused journalist, producer and editor based in South Africa. She currently is the Africa editor of the Global Investigative Journalism Network. She co-led the development of African coverage at Al Jazeera English’s website (Qatar) sourcing material, developing networks, social media and writing and editing stories. She also worked as an online producer for the AJE English website during critical periods such as the Arab Spring. In Italy, she worked for the award-winning Colors magazine. She began her career in community newspapers at Media24. Daniela Lepiz is a Costa Rican data journalist. She has a master’s degree in data journalism from the Rey Juan Carlos University in Madrid, Spain. She is currently involved with Code for South Africa as data editor for the Data Journalism Academy, Africa’s first data journalism school which offers training in data-driven storytelling to working journalists. She produces data driven analyses and articles for different publications. She previously worked for Central American publications, including La Nación in Costa Rica, one of the first newspapers in Latin America to establish a data unit. Data Journalism. How to get started? Christian Locka is an investigative journalist based in Cameroon. He has won numerous awards for his work on corruption, human rights, abuse of power and illicit finance, including fellowships from the Investigative Reporters and Editors and the Fund for Investigative Journalism. He was named the best investigative reporter in Cameroon by Mediations Press Trophies, won the Bibi Ngota Prize for reporting on impunity and commended for excellence in journalism by The Icom Foundation. Jeff Kelly Lowenstein is an investigative journalist and assistant professor at Grand Valley State University. His work has been published in The New Yorker and the Center for Public Integrity, and has earned awards from organisations like Investigative Reporters and Editors and the National Press Club. A Fulbright scholar, specialist and teacher, he has written four books. Siphe Macanda is originally from East London, South Africa, and has recently moved to The Sunday Times from the East London-based, award-winning Daily Dispatch. He had been with the paper for just over two years as a political writer for both the Daily Dispatch and Saturday Dispatch. In his two-year stint at the Dispatch, Macanda wrote numerous exclusive and investigative stories. He was runner-up for the 2015 Taco Kuiper Investigative Journalism Award. He recently won Journalist of the Year and Investigation of the Year at the Standard Bank 2016 Sikuvile Journalism Awards. Gabriela Manuli is Deputy Director of the Global Investigative Journalism Network, the international association of investigative reporting organizations. A native of Argentina, she has been a journalist for more than fifteen years, working for radio and TV shows, magazines, and newspapers. She earned an M.A. in Public Policy with distinctions (Media, Information and Communications Policy Specialization) at the Central European University in Budapest, and graduated with first-class honors in Social Communication Science at the University of Buenos Aires. 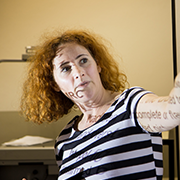 Vivien Marsh is in what she hopes is the final year of her PhD at the University of Westminster, in which she is studying Chinese state English-language journalism by comparing the global and African news output of CCTV News with that of BBC World News TV. Before starting her PhD in 2013, Viv spent about 25 years as a global news journalist at the BBC, mainly at the BBC World Service News but also at BBC World, where she was part of the launch team. Her last role was as London-based Asia-Pacific news editor/reporter at World Service News. 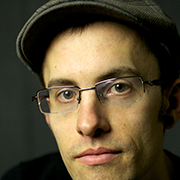 Craig McKune is an investigative reporter with the amaBhungane Centre for Investigative Journalism. He is interested in cross-border financial flows in Africa and has investigated state procurement, tax avoidance and deals in the mining, oil and gas and telecommunications sectors. 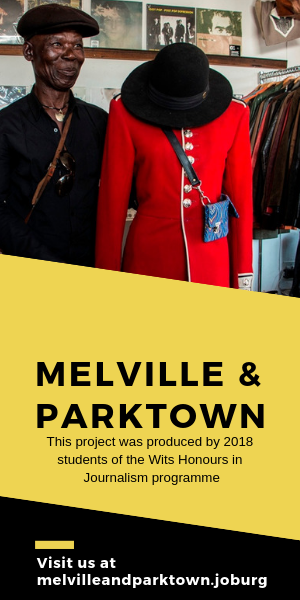 Johnny Miller is a photographer and filmmaker specialising in documentary projects. He is based in Cape Town, South Africa, and has extensive networks and knowledge of contemporary African and world issues. His focus is on the urban, cultural, and social issues facing humanity in a fast-changing world. He has recently received worldwide acclaim for his project Unequal Scenes, an exploration of inequality in South Africa via drone photography. Dario Milo is a partner at Webber Wentzel attorneys, where he leads a media and information law team. He also lectures in media law, access to information law, and privacy law at the University of the Witwatersrand, where he is a visiting associate professor. Dario Milo is the author of Defamation and Freedom of Speech, published by Oxford University Press in 2008. He has acted for the media in numerous high profile cases, including the defamation case brought by President Zuma against the cartoonist Zapiro, and has been lead attorney in many of the media freedom cases decided by the South African courts. Izak Minnaar is a journalist with print, broadcast and online experience and is currently Editor: Digital News at the South African Broadcasting Corporation (SABC) in Johannesburg. 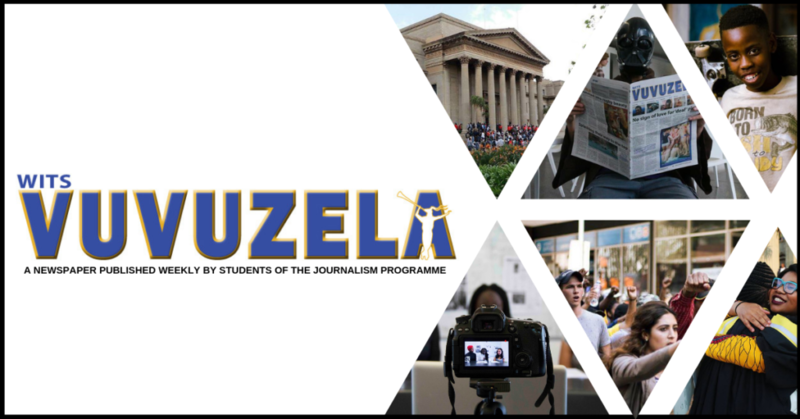 He regularly presents courses, guest lectures and conference inputs on topics such as online journalism, information management in the newsroom, online tools, data journalism and election coverage. 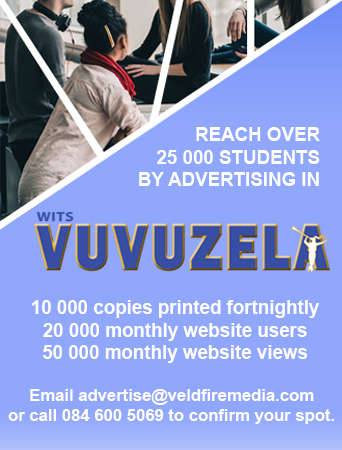 He serves on the councils of the South African National Editors’ Forum (Sanef), the SA Press Council as well as the IAB SA Publishers’ Council, which represents the South African online industry.l. 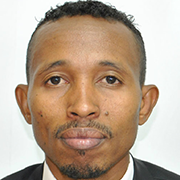 Kassim Mohamed is a Kenyan investigative journalist/researcher at Africa Uncensored (AUC). Before joining AUC, he worked at Kenya Television Network (KTN) as the producer of Investigations and Special projects. He has covered a number of daring investigations, from exposing corrupt government officials, militant groups such as the Al-Shabaab to criminal gangs and arms smuggling. He started his career in the year 2004 at Kenya’s Television Network (KTN), the first independent TV station in Kenya. Pieter-Louis Myburgh started his career as a journalist at Beeld newspaper in Johannesburg after completing Stellenbosch University’s BPhil (honours) programme in journalism in 2009. After a stint as a writer at a local news magazine, Myburgh joined Afrikaans weekly Rapport, where he began working on investigative stories. His focus soon fell on corruption and other transgressions in major government contracts, including those related to South Africa’s huge R300 billion plus rail upgrade programmes. Myburgh currently works as an investigative journalist at News24. Anina Mumm is a science communication and digital media specialist who works with researchers and journalists to bridge the gap between science, data and society. She leads her team at ScienceLink, South Africa’s first digital science communication start-up, and she is the chairperson of SciBraai, a proudly South African NPO dedicated to science journalism, science communication and outreach. Through ScienceLink, Mumm works closely with the Oxpeckers Centre for Investigative Environmental Journalism on interactive data journalism projects. John-Allan Namu is an investigative journalist and the CEO of Africa Uncensored, an investigative and in-depth journalism production house. Africa Uncensored’s ambition is to be the premier source of unique, important and incisive journalism. Prior to co-founding Africa Uncensored, he was the special projects editor at the Kenya Television Network, heading a team of the country’s best television investigative journalists. Stephen Nartey is an award-winning investigative reporter from Ghana. He is a senior broadcast journalist with Joy News, one of the leading English media networks in Ghana. For almost a decade he has been working as an investigative journalist aiming to fight injustice, high-level corruption and abuse of public office in Ghana. Momar Niang has been working at Ouestaf/Multimedia in Senegal for six years now. Prior to this he was at the Senegalese Press Agency. He has a Master of Arts and Literature from the University Cheikh Anta Diop of Dakar and a Masters in Journalism and Communication Studies. Over the last two years he was involved in many investigative projects including Swissleaks, Fatal Extractions and The Panama Papers. Ron Nixon is an investigative reporter for The New York Times in Washington, DC. He has taught investigative techniques to journalists around the world. He has reported from Rwanda, Burundi, South Africa, Nigeria, Uganda and the Democratic Republic of the Congo. A visiting fellow at Wits Journalism, he is the author of the book, Selling Apartheid: South Africa’s Global Propaganda War. Ntibinyane Ntibinyane is a Botswana based journalist and co-founder of INK Centre for Investigative Journalism, a non-profit journalism organisation that does investigative journalism in the public interest. He is also the former editor of Mmegi, Botswana’s only privately owned daily newspaper. In 2016 he was part of the African investigative reporters that worked on the Panama Papers in collaboration with International Consortium of Investigative Journalists (ICIJ). His investigative journalism has been recognised both in Botswana and elsewhere around the world. Rosemary Nwaebuni is an investigative journalist with The Pointer Newspaper in Nigeria. She is driven by a passion to expose societal ills and bring perpetrators to justice. She has worked with Insight TWI/Africa Investigates to expose the activities of Nigeria’s fake doctors and baby farmers in collaboration with Anas Aremeyaw Anas. Michael Obert is an award-winning German book author and journalist who has been compared with Bruce Chatwin, Jon Krakauer and Ryszard Kapuscinski. He reports mainly from Africa and the Middle East and writes for National Geographic, GEO, Sueddeutsche Zeitung Magazin, ZEIT Magazin, and many other prestigious periodicals in Germany, Switzerland and Austria. He also writes for The Sunday Times Magazine, GQ France, The Journal (New York), Dagens Næringsliv (Oslo) and Himal Southasian (Katmandu). Michael O’Donovan is an experienced applied social science researcher with decades of experience applying standard and innovative statistical methods to the analysis of large datasets. In recent years governance issues have increasingly underpinned his recent work with a focus on measuring governance quality, analysing local government finances and the impact it has on, for example, voter behaviour. He has worked with a wide range of South African clients including the SABC (Digital News), the Multi-Level Governance Initiative (University of the Western Cape’s Dullah Omar Institute) UN Women (Rwanda), the World Bank, HSRC, DBSA, and cabinet’s social cluster. Chika Oduah is a Nigerian-American journalist who works as a television news producer, writer, photographer and correspondent. She covers human rights, culture, conflict and development in sub-Saharan Africa. She is one of the few journalists reporting on the ground from north-eastern Nigeria, the heartland of the extremist group, Boko Haram. Chika’s work has appeared in The New York Times and The Guardian and on CNN, Al Jazeera, BBC and France24. Chika is currently based in Abuja, Nigeria. Wellington Radu is the Head of Programmes at Media Monitoring Africa. He has experience in media monitoring and analysis across issues ranging from elections to racism, migration, health and gender. His interests are in information and communication technology, governance, human rights and sustainable development. Wellington holds a masters degree in Sociology from Wits University and a postgraduate certificate in Human Rights Theory and Practice from the University of Cape Town. Lately he has been spending his time analysing the diversity of media content in South Africa and the region. Carolyn Raphaely is a senior journalist at the Wits Justice Project. Raphaely cut her journalistic teeth exposing the pitiful conditions experienced by migrant workers living in employer-provided housing in the Western Cape. Subsequently, she’s written extensively about socio-political, human rights and lifestyle issues, housing, business and the environment. Right now, she’s obsessed with righting wrongs in SA’s justice system by drawing attention to the mostly ignored plight of people behind bars. Carolyn was named print Legal Journalist of the Year by Webber Wentzel in 2011 and runner up in 2012 and 2015. She was Standard Bank Sikuvile Journalism Award finalist in 2013 and 2014. Karabo Rajuili is the advocacy co-ordinator at the amaBhungane Centre for Investigative Journalism. Karabo holds a BA (Hons) in Politics from UKZN with minors in Media and Communication. She also holds a certificate in Public International Law from Leiden University, the Netherlands, and is an alumnus of the International Peace and Security Institute (IPSI) in Post-Conflict Transitions and International Justice. Jean-Baptiste Renaud is a French reporter. He has directed or co-directed several investigative documentaries for major French networks including France 2 and Canal+. His documentaries usually focus on environmental and international issues. His last investigative documentary, Climate Change: Multinationals’ Big Bluff, showed how big French energy groups are pursuing investments all over the world that are inconsistent with the 2°C warming limit set by COP21 in Paris. In a data-driven investigation he showed how a European Union scheme designed to make the major CO2 emitters pay for their pollution turned into a large cash machine for those companies. Seamus Reynolds has been hacking through the broadcast journalism jungle for nearly 20 years. He’s passionate about visual storytelling that delivers compelling and complex narratives. Directing the rolling 24-hour news coverage following the death of Nelson Mandela was an unrivalled career highlight, but experimenting with how digital technologies can transform newsroom culture has been his most rewarding experience. His current focus is training mobile journalism by encouraging journalists to unlock the enormous potential of their smartphones. In August, Seamus embarked on a new training adventure when he took over the Sabido eAcademy, a Johannesburg-based broadcast and media training facility. Jo-Anne Richards is an internationally published novelist with a PhD in creative writing. Her fifth book The Imagined Child was published in 2013. The Innocence of Roast Chicken has recently been rereleased as part of the prestigious Picador Africa Classics collection. 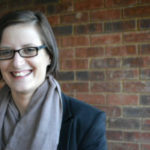 Through www.allaboutwritingcourses.com, she offers creative writing courses in Cape Town, Johannesburg and online. She ran the Honours programme in Journalism at Wits for 15 years and supervised in the Wits Creative Writing Master’s programme. Bob Rugurika is an investigative journalist and the director of the private and independent radio station Radio Publique Africaine (RPA) in Burundi. It frequently broadcasts information viewed as critical of the government, including detailed accounts of alleged human rights abuses and financial scandals. 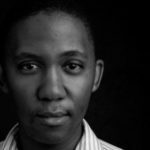 Lawrence Seretse is an investigative editor at The Botswana Gazette and an associate at The Oxpeckers Center for Investigative Environmental Journalism. He has made headlines with stories about the lucrative captive breeding of lions and their sale to ”canned hunting” facilities; the shady shell companies around Botswana’s largest tourism company; the millions embezzled through Botswana’s spy agency; the De Beers tax avoidance scandals and more. In 2014 he became editor and head of investigations at the Botswana Gazette. He is a finalist in the CNN MultiChoice African Journalist 2016 Awards. Sam Sole has been a journalist since 1986. He has worked for the investigative magazine noseweek, served as political editor of the Sunday Tribune, and joined the Mail & Guardian as an investigative journalist in 2002. In 2003 he won the Vodacom Journalist of the Year award for first reporting the criminal investigation of then national deputy president Jacob Zuma. Sam co-founded the amaBhungane Centre for Investigative Journalism in 2010. Jorge Luis Sierra is a Knight International Journalism Fellow working at the intersection of investigative journalism, technology and digital security. As a Knight Fellow he leads the development of digital tools for cyber security for investigative reporters and an investigative reporting project on crime and corruption in Mexico and Central America. He is an award-winning Mexican investigative reporter and editor. Based in Washington, DC, he reports on Latino issues and a range of conflict-related topics such as drug trafficking, organised crime, counter-insurgency and gangs. Hamadou Tidiane Sy is a Senegalese journalist. He is the founder and editor of the award-winning Ouestaf News. he started early in his career working for major international media houses (BBC world service, AFP, Channel Africa). For the past decade he has been working on his own to set up and manage Ouestaf News first, and then to create a journalism school in Dakar (ejicom.com). With Ouestaf News, Tidiane has taken part in major investigative projects: Swissleaks, Fatal Extractions and the Panama Papers. Pauli van Wyk is an investigative journalist working for the Mail & Guardian. She writes about the justice cluster, state-owned companies, state politics and the inescapable collision course they’re on. Pauli cut her teeth at Media24: she became a journo at Beeld, was trained by the amaBhungane Centre for Investigative Journalism and was part of the first Netwerk24 team. Cheryl W. Thompson is an associate professor of journalism at George Washington University who writes investigative stories for The Washington Post. Since coming to the paper in 1997, she has covered immigration, criminal justice and the White House under President Obama. Her most recent investigative stories include an examination of people who die after being tasered by police and witnesses killed for cooperating with police. Thompson was part of the Post team that won a Pulitzer Prize this year for reports on police shootings in the US. She also has won an Emmy and two National Association of Black Journalists awards. She is a member of the boards of the Investigative Reporters and Editors and the Fund for Investigative Journalism. George Turner is investigations director of Finance Uncovered, a global training and reporting project. Before becoming an investigative journalist he worked for Sir Simon Hughes, the former deputy leader of the Liberal Democrats in the UK. He has a Master’s degree in international affairs from the Johns Hopkins University School of Advanced International Studies in Washington, DC. Follow the Money: Financial investigations The Lunatic Express – Where did the rail line money go? Shi Yi is an environmental journalist at Shanghai-based online media The Paper and Sixth Tone. She’s reported on China’s environmental issues since 2014. She was honoured with the “Best Journalist” award at ChinaDialogue’s 2016 Environmental Press Award for her reporting, including an investigation she did in Namibia on the illegal ivory trade.